The Surface Studio is an exception because it is an attractive, all-in-one device meant to sit on a desk. 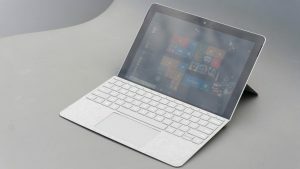 Another latest Surface device, Surface Go, is a 10-inch touchscreen tablet, which was designed to be quite user-friendly and portable for those people who have to work on the go. With so many ranges available, you might get confused which one is better for you. Don’t worry, if you are having the problem in comparing and figuring out the differences between the different Surface devices, then follow this article. 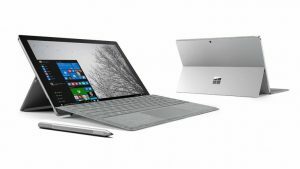 Here, we have provided the product’s specifications for each of the Surface devices so that you can compare them easily and get a better idea of which one to choose or which Microsoft Surface is the best for you. Introduced in 2018, the Microsoft Surface Go is an entry-level Surface, which consists of Intel Pentium Gold processor, 64 GB eMMC storage and 4 GB of RAM. Apart from this, there is one another model of Microsoft Surface Go available which features 8 GB of RAM and 128 GB of extendable storage. Furthermore, it also has a built-in kickstand which can extend up to 165 degrees which supports both Wi-Fi and Windows Hello. The Surface Go’s type Cover usually comes in the standard black color but it is also available in Cobalt Blue, Burgundy and Platinum colors. Even it comes with the Surface Mobile Mouse which is available in colors like Cobalt Blue, Burgundy or Platinum. Accessories: Surface Dial, Microsoft Office, Type Cover, and Surface Pen. The new Surface Laptop comes with the latest Intel Core i5 and i7 processors, just like the new Surface Pro 6. This device is a combination of MacBook Air and Chromebook; it offers an Alcantara fabric keyboard in platinum, burgundy, cobalt blue, and black finish colors. Although the Surface laptop doesn’t transform into a tablet, it does have a decent battery life and excellent full touchscreen. It is basically a Windows 10 PC and therefore, it allows you to install apps only from the Windows store out of the box. Thus, it is recommended to turn this option right away because, in the Windows store, the choice of apps remains poor. This Windows 10 PC is for those who have a big budget and is aimed at creative professionals. 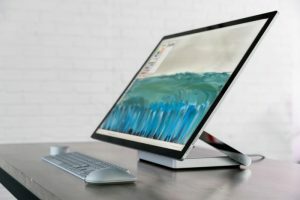 The Microsoft Surface Studio is an all-in-one desktop computer, which features a Zero Gravity Hinge. It can be easily pushed down to a tablet-like position with a light push. So that, the users can seamlessly use the Surface Dial or the optional Surface Pen to color, sketch, and even mark-up on the screen. The latest Surface Pro 6 is the same as that of the Surface Pro 5 model except the fact that it is available in both charcoal and black color. But one additional advantage of this device is that it is encrypted with the latest generation Intel Core i5 or i7 processors and UHD 620 Graphics. 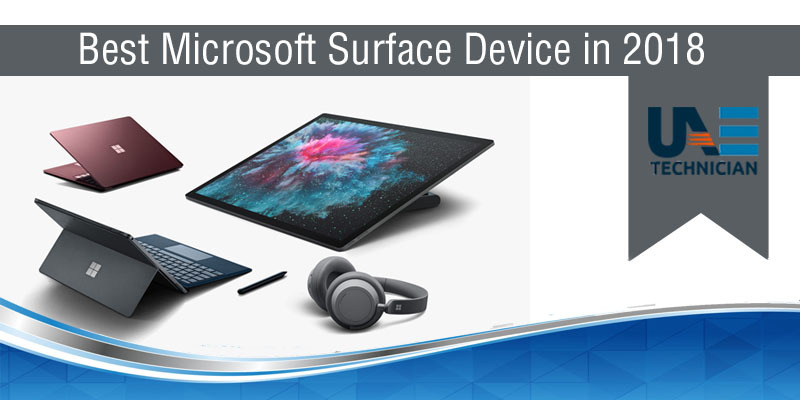 The Surface Pro works with a detachable Surface Pen, Type Cover and Surface Dock which helps in transforming it into a desktop PC as it can be used with a mouse, printer and two external monitors. 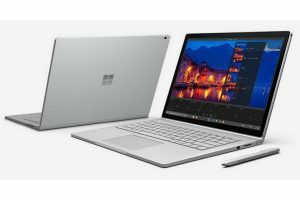 The Surface Book 2 is basically a 2-in-1 convertible device which is also used as a professional laptop. Though it is slightly bigger than the Surface laptop, it offers much more than the Surface laptop in terms of performance. 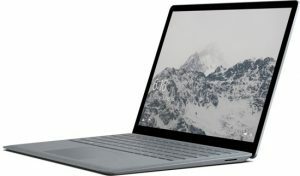 The base model of Microsoft Surface Book 2 comes with Intel Core i5 processors, 8 GB of RAM, Intel HD Graphics 620 and 256 GB SSD. Along with that, its other models, including the latest one, have Windows Hello authentication. Not only that but it also possesses dual microphones and front-facing stereo speakers. Hope that these reviews will help you out in choosing the best MS Surface for you as per your needs and requirements. But in case you encounter any issues in any of these Microsoft Surface, you can contact our team of UAE Technician for availing excellent Surface support. You can reach us by dialing at 042053349 . Or, you can also interact with us through emails and live chats. best ms surface Which is the best Microsoft Surface device for you? Take a Look at the Upcoming 5G Laptops Technology in 2019!